Får jag dö i din famn? (Can I die in your arms?). Concert and discussion around material from film and music project ”Mittemellan” (In-bewteen). Experience prerecorded interviews and your own thoughts transformed into music in real time with singer Negar Zarassi, composer Stefan Klaverdal and video artist Thomas Romlöv. Improvisations and compositions for organ and computer in close collaboration with organ player and composer Johan Magnus Sjöberg. Metallotråd, a collaborative exploring project with artist Leif Homstrand and cellist Stefan Moberg is performed in a mix between a troll, yarn, metal, cello, computer, video noise, drones and sensors at LOKALITET. 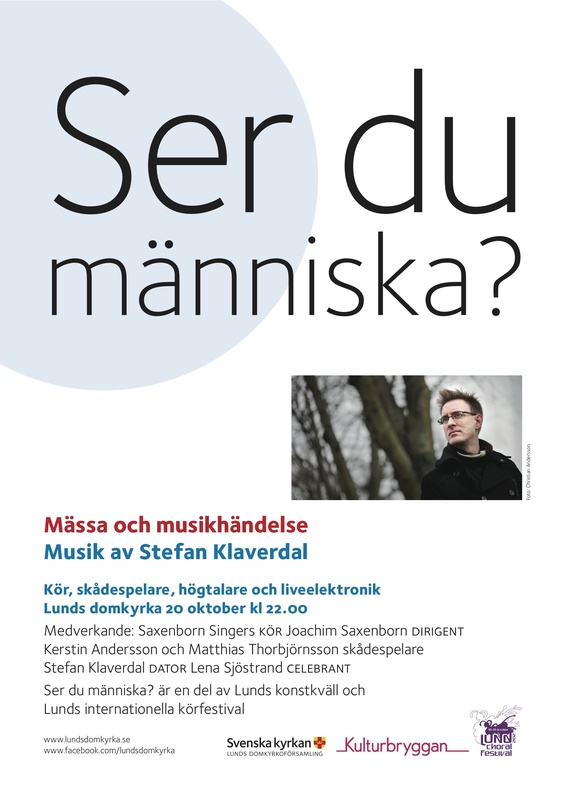 Bergslagen symphony orchestra has nominated Stefan Klaverdal as Composer of the Year! A number of chamber music pieces by Klaverdal will be performed during the festival week, finishing with the premiere of a newly written concerto for laptop and orchestra. Performance at C-Y FESTIVAL ”Electro|Beat|Performance” in Malmö. At 1500 with ENM, performance of Delay Music. At 1900 solo performance with RESTRUCTION, a collection of remixes and reconstructions of well-known music, from Mozart to Bryan Adams. Rosa Rorans Bonitatem, a new piece for choir and optional computer is premiered. 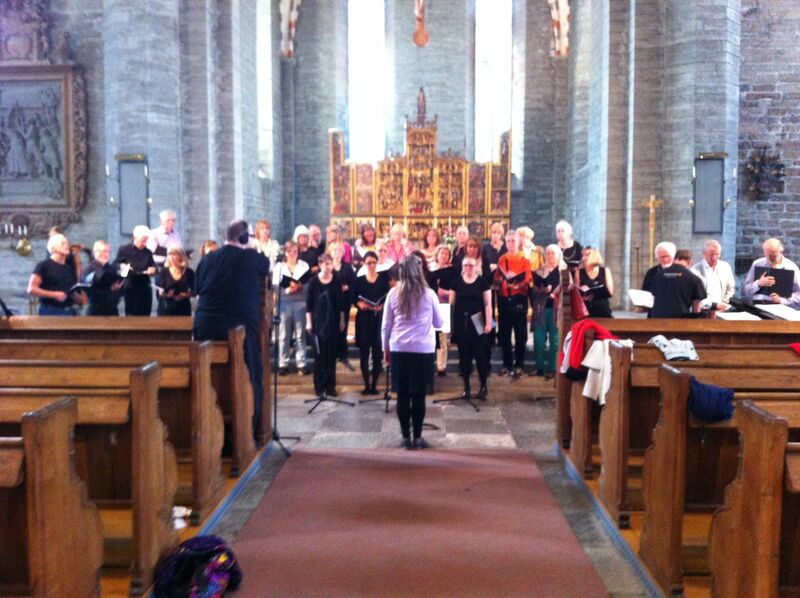 The piece is based on or referring to St. Birgitta especially written to the church (with 7 seconds of reverberation!) and commissioned by the choir Mälarton from Stockholm. Other pieces by Klaverdal: Hör, rösten från himlen (choir version and version for solo and piano), Klart porlande vatten, När nattens mörker föll. Also live performance by Klaverdal. 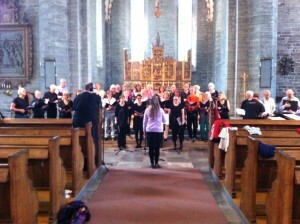 Jag ville vara en annan, a new piece on lyrics by Per Lagerkvist for Essens:1 and choir is performed in a program with arrangements by Klaverdal of several other classical and popular tunes. Read more here. Performance of Den Lilla Vävoperan (The Small Weaving Opera), an opera or performance act on weaving. Dreams, myths, facts and fantasies are woven together with music, sounds, videos and objects. Looms are made into instruments and instruments are made into looms. Den Lilla Vävoperan (The Small Weaving Opera) | Lisa Hansson/Stefan Klaverdal from Stefan Klaverdal on Vimeo. 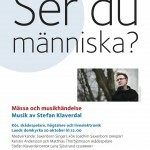 ”Ser du människa?” is not only a concert. It is neither only a service or a play. It is perhaps a state of being, where you are invited to meditate. Based on texts from the Book of Revelations, Olof Hartman, and Arne H Lindgren this event explores ways of relating to text, sounds, music and space within the context of the church, containing a choir, actors, computer, and a mass. The event is a part of a larger project including a sound installation and readings of the texts. This event occurs as part of the Lund International Choral Festival and readings of the texts in relation to the installation. Official premiere of Den Lilla Vävoperan (The Small Weaving Opera), an opera or performance act on weaving. 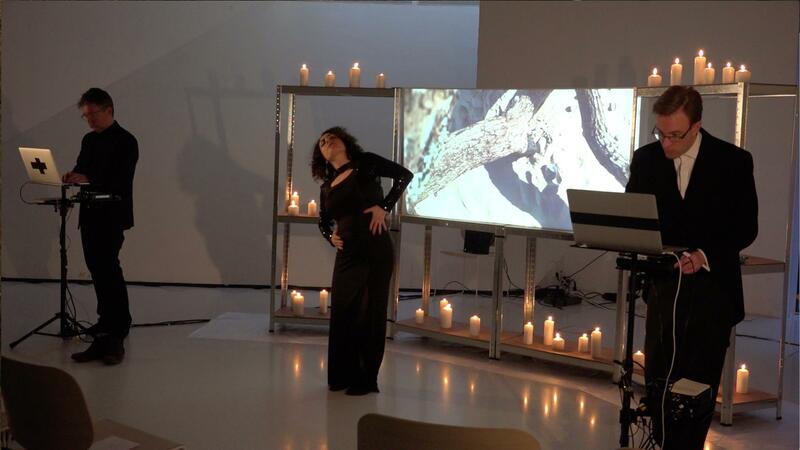 Dreams, myths, facts and fantasies are woven together with music, sounds, videos and objects. Looms are made into instruments and instruments are made into looms. 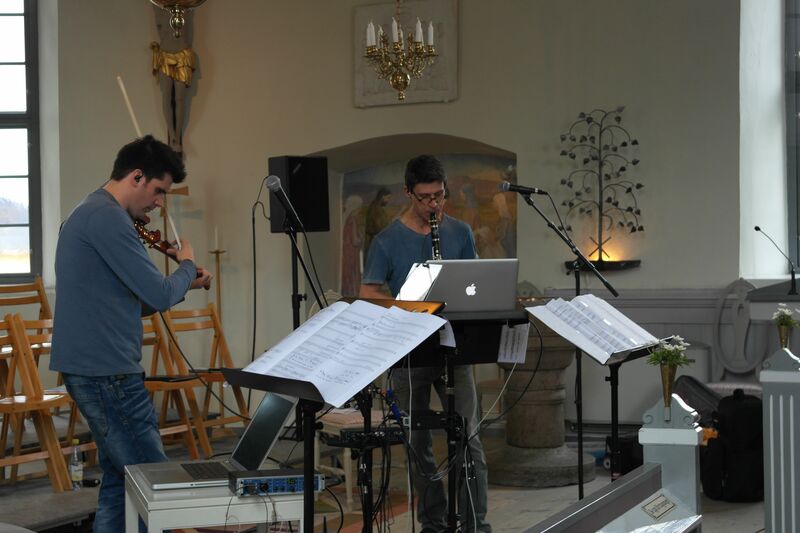 Swedish composer and sound artist working with acoustic and electronic music, performance and interactive sound art. His music is described as emotional, kaleidoscopic and beautiful.